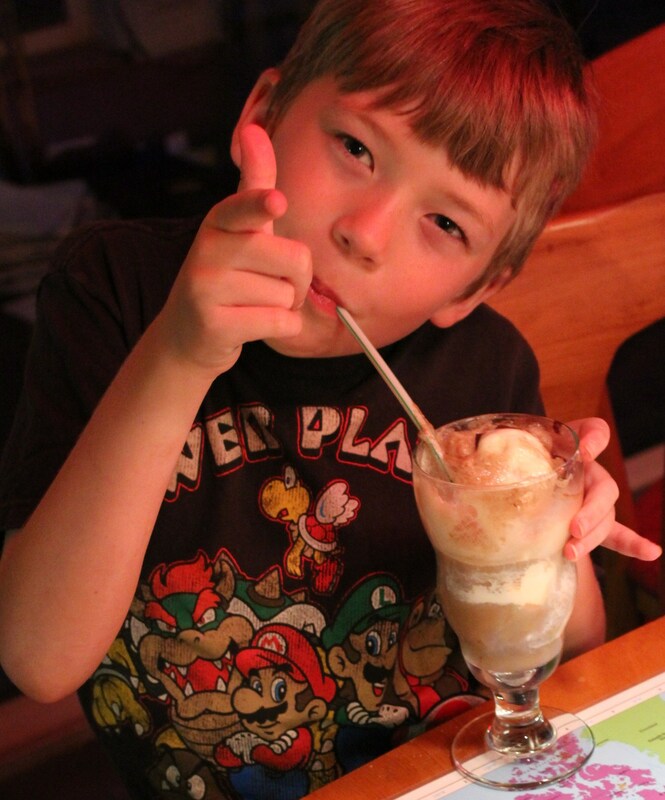 When was the last time you enjoyed a yummy root beer float? 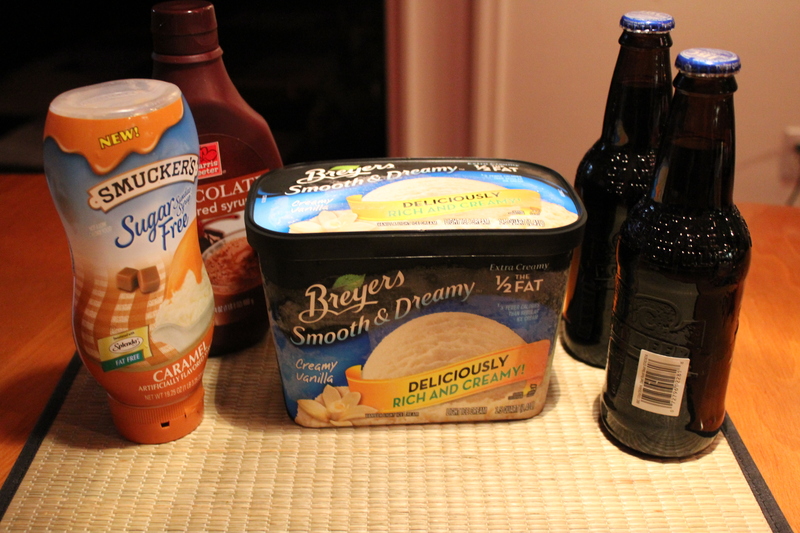 For me, it had been quite a while, so I was so happy to learn that August 6th is National Root Beer Float Day. 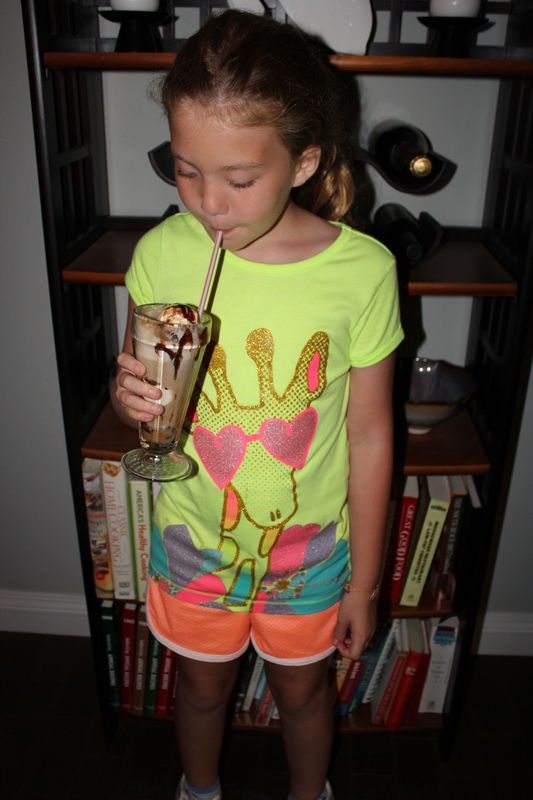 So were the kids – what a perfect treat on a hot summer day! 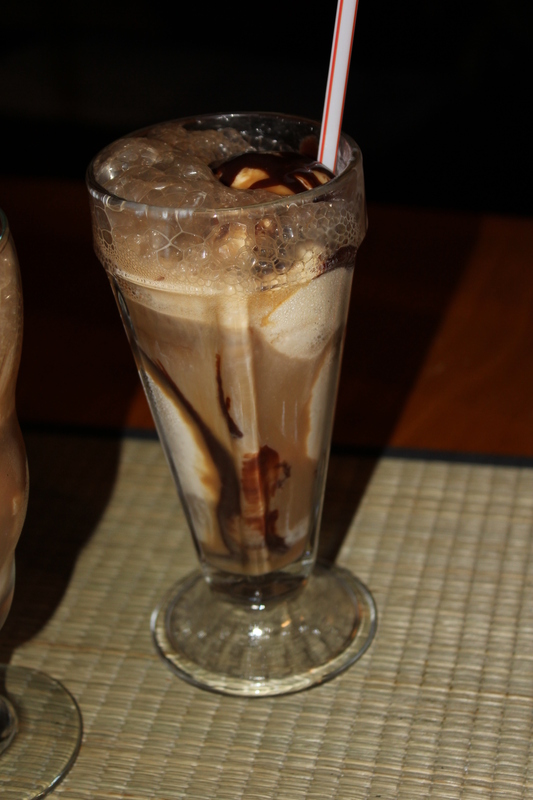 These are so easy to make – vanilla ice cream, chocolate syrup and root beer are all you really need (of course you can add caramel syrup, whipped cream and a cherry if you want.) Or, you can also make an adult version, like I did. Smiles all around! 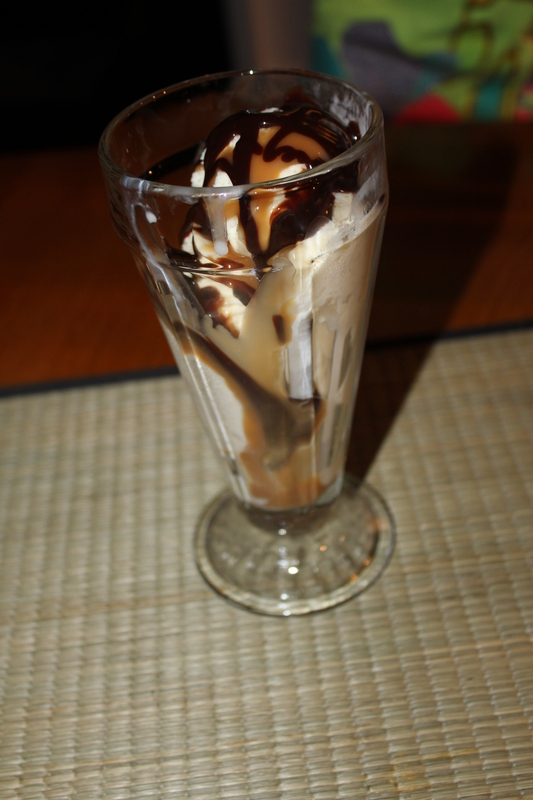 Place 2 to 3 scoops of ice cream in a tall glass. Squeeze the syrup(s) on top of the ice cream to taste. Fill the glass with root beer. Top with whipped cream and a cherry if desired. Add a straw and enjoy – Lexi was too busy loving her float to smile for the camera! 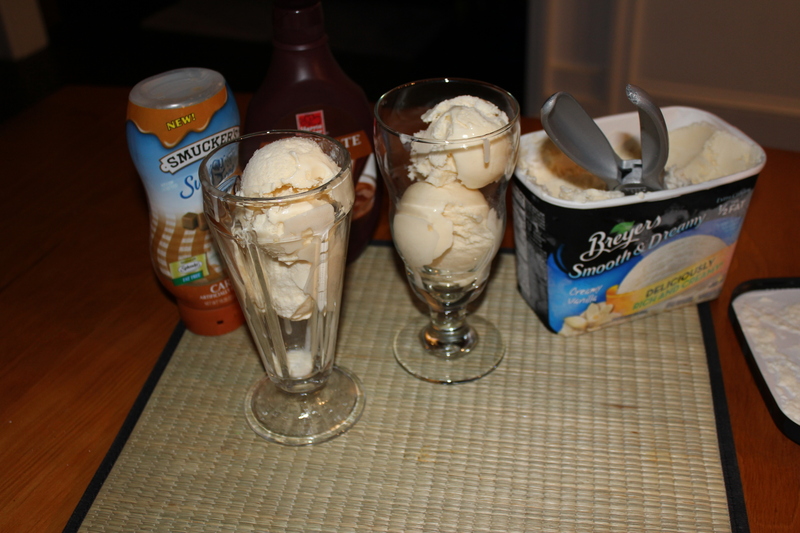 Place 2 to 3 scoops of ice cream in a tall glass. Add the vodka and the Chambord. 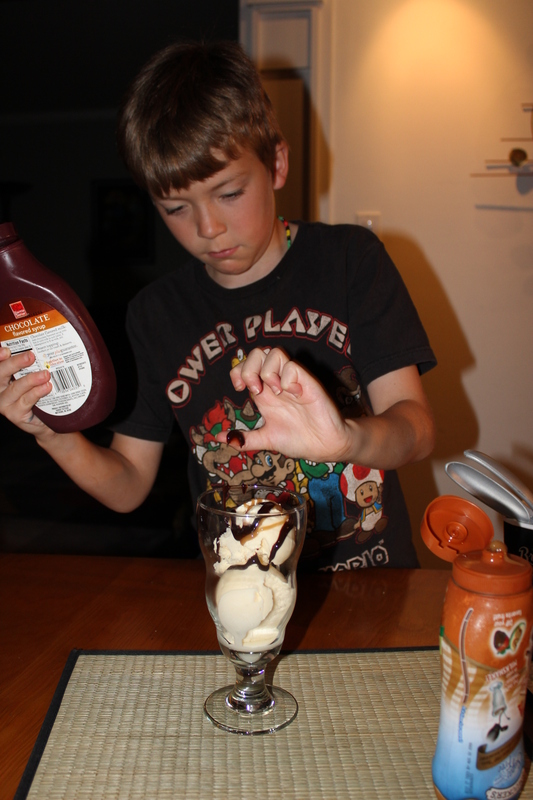 Squeeze the chocolate syrup on top to taste. Fill the glass with root beer. 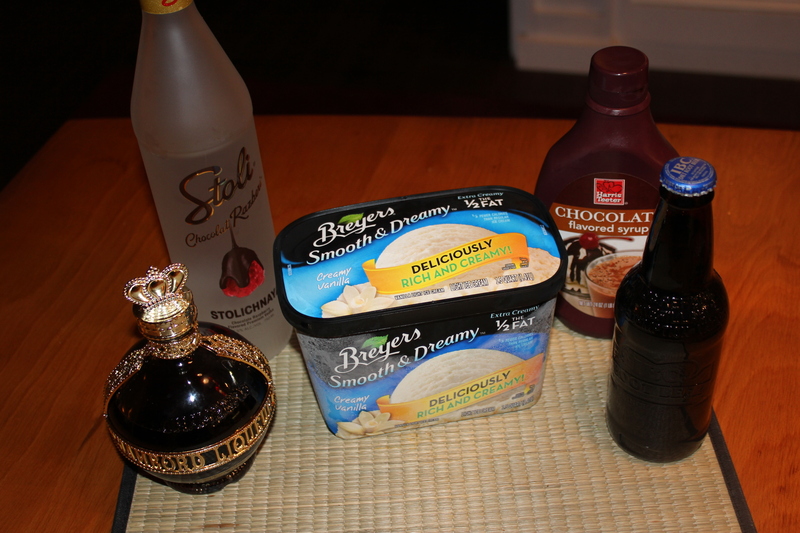 The raspberry flavor of the vodka and Chambord add a wonderful twist to this classic float. Or, if you’re not a big fan of raspberries, omit the Chambord and replace the chocolate-raspberry vodka with vanilla vodka instead. Both are awesome! 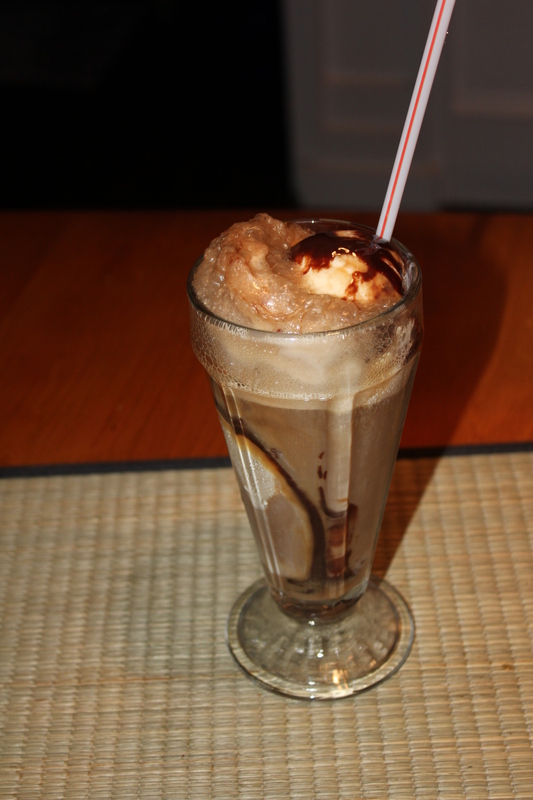 This entry was posted in Desserts, It's 5:00 Somewhere and tagged Adult root beer floats, Alcoholic root beer floats, eat drink and be merry, Ice cream floats, it's five o'clock somewhere, kel's cafe of all things food, Kel's drink of the month, Root beer floats, Root beer Stoli Chocolat Razberi float. Bookmark the permalink.